The complaint I've always had, is that my eggs don't look deadly enough. So, you can imagine my relief in finding this little beauty. 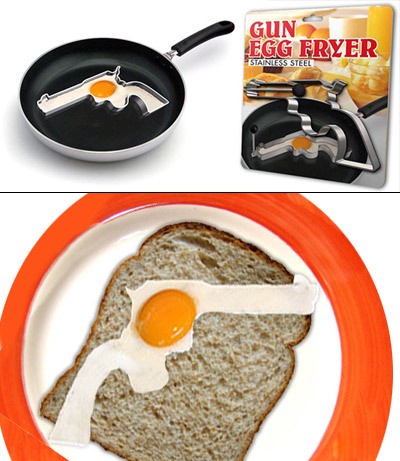 Yes sir, the gun egg fryer will turn any baby chicken into a delicious gun shaped breakfast.